What others say about chiropractic care can help you make the right health care choice. Review a selection of Precise Chiropractic patient testimonials below and email me or contact our office if you have any questions. NUCCA provides relief after suffering a traumatic brain injury! Matt was involved in an auto accident and suffered a traumatic brain injury. This caused him to suffer with headaches, vomiting, sleep apnea, numbness in his feet and hands, depression, loss of appetite, anger issues and a fluid buildup in his head for 2 years. “The anger issues I had were one of my biggest problems. My headaches were so severe that I was unable to read. Anytime I would start to experience stress, I would start stumbling over my words. Matt says that within his first couple of visits the fluid buildup he had in his head went away. Soon after that, the headaches and vomiting stopped. “Now, I am feeling amazing! The numbness in my feet and hands are gone, I am off all medications, I stopped feeling depressed and I no longer have anger issues. I am also sleeping throughout the night. I feel like I can live my life and be me again. I can read, eat and carry on a conversation. NUCCA is amazing; it gave me my life back.” says Matt. Lauren suffered with severe migraines for almost 4 years. “There were days where I would be completely out of commission, stuck in bed and vomiting. The doctors that I went to said these were simply sinus headaches. 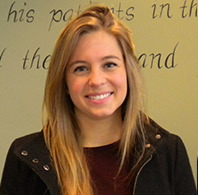 They gave me sinus medication and even convinced me to have surgery on my sinuses,” says Lauren. Lauren says that after the 3rd adjustment she felt a HUGE improvement. In the first 1-3 weeks of starting care Lauren says that the migraines had disappeared. “When I slept, I would have to sleep flat. Sometimes, I would even need to sleep on the floor. Now, I can sleep in my bed and even use a pillow! It’s a wonderful feeling to not feel afraid that I will wake up with a migraine anymore,” says Lauren. Dave was involved in a bad auto accident which caused him to have whiplash. He had constant neck pain that radiated down his back. He would also have black outs and eye twitching, along with high anxiety and insomnia. He also had a lump in his neck that felt like a giant ice cube. Dave says that he felt relief after his 2nd adjustment. “I feel more energized, and I am able to sleep soundly through the night. The neck pain has improved tremendously and the lump I had in my neck has completely disappeared! I no longer have black outs which means that I have been able to go back to work. 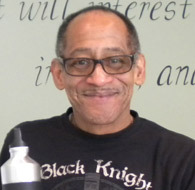 I really feel as though I have gotten my life back!” says Dave. NUCCA Kept Me Out of a Wheelchair! Lori had suffered with severe muscle spasms for over 35 years which was due to a back injury she sustained at the age of 14. “For 18 months I was in a wheelchair to prevent me from getting hit or bumped while I was out in public.” she says. Lori says that she felt amazing after her first few adjustments. “My back pain is completely gone and my back has not locked up at all. I feel like I have so much more energy than what I used to and I no longer have breathing problems! I also realized that I had some digestive issues that improved greatly as well,” she says. Dr. Carmen suffered with neck and upper back pain that would radiate down both of her arms for several years, along with numbness in her hands. Dr. Carmen also mentions that she suffered with chest pain while walking. “The pain was so horrible that I was unable to drive for more than 10 minutes at a time and I was not able to function properly at work. For a while I thought I had a heart condition,” says Dr. Carmen. Able to walk without using a cane or walker! 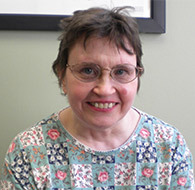 Lynda was a long time sufferer of so many ailments and was in desperate need of relief. Ringing of the ears for twenty plus years, liver trouble, vision problems, arthritis, neck spasms, kidney trouble, pain throughout her entire body, and chronic depression just to name a few. She had undergone spinal epidurals, three and a half years of physical therapy, and been prescribed numerous pain medications before she found Dr. Cramer on WMUZ radio. NUCCA has restored the quality of Lynda’s life! She can now do things that she hasn’t been able to do for years. She now does her own house work (and with joy she says), picks up her own groceries, does the laundry, plays with her grandchildren, walks without the assistance of a walker or cane, and prepares the meals for herself and her family all thanks to being under NUCCA Chiropractic care. Ben suffered with neck, and lower back pain and numbness in his hand for over 20 years. He mentions that his neck pain would get so intense that at times he was unable to look over his left shoulder and he had no range of motion at all. “I had been suffering with this for so long, that I just thought it was my way of life. I couldn’t do anything. I was unable to work or play sports. I couldn’t lift or throw anything over my head and I couldn’t play my drums anymore,” says Ben. Ben says that he is feeling great! “I couldn’t believe that I noticed improvements after having that first adjustment! After a month of care, I had increased range of motion, the numbness in my hand greatly decreased, my neck and back pain is much better. Now, feeling pain is a very rare thing. I don’t need to take pain injections any longer and I haven’t taken a pain pill in over a month now! I have confidence to do things that I normally would not do. I also noticed that I wake up in the morning with so much more energy and I am able to play my drums again which is HUGE!” says Ben. Working completely pain free thanks to NUCCA! 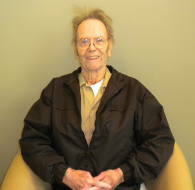 Jake suffered with severe lower neck pain for over a year, and left shoulder pain and lower back pain. “The pain that I was experiencing was so severe that it was hard for me to work,” says Jake. Breathing better and severe neck pain is gone! Stephanie suffered with severe pain in her neck, upper back and shoulders for over 6 years. She also suffered with breathing problems, throat trouble and sinus problems. “I never tried to do anything to relieve these problems because I assumed that it was normal to feel this way.” says Stephanie. Stephanie says that she feels fantastic! “After the very 1st adjustment, my breathing problems disappeared and never returned! I also noticed that I had some contact dermatitis which also completely disappeared. I feel like my stride is better and it’s easier to run now. My sinus problems have greatly improved and I feel calmer. I hardly ever feel tense now.” she says. Neck pain gone in 1 week with herniated discs! 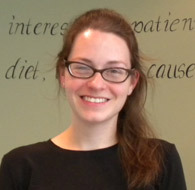 Anna suffered with herniated discs in her neck for over 1 month. “I woke up one day for my son’s graduation party and had severe sharp pains in my neck. The pain was so intense that it brought me to tears and I was hospitalized for it. I was completely unable to do anything for an entire month,” says Anna. Anna says that she is feeling wonderful! 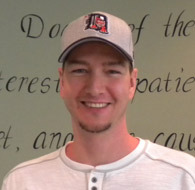 “After receiving the first adjustment, my neck pain had massively improved! After the first week of care, the pain was totally gone. Now, I am able to do anything I want without pain. I am proud to say that I have been narcotic free for over 3 months! 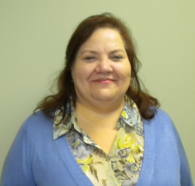 To live pain free and not have to take any prescription pain medication is the best!” says Anna. James had suffered with neck pain that was a rated 9 on a pain scale from 0-10. “The pain was so severe that I wasn’t able to turn my neck and I could barely drive. James has said that his results have been amazing! “My neck pain is completely gone! Precise Chiropractic has helped to keep me out of pain and in great shape! I don’t have any setbacks in my health either, which is great!” he says. Becky had been suffering with Positional Vertigo. The dizziness that was caused by the Positional Vertigo had been so extreme that some days it was difficult for her to get up and use the bathroom. 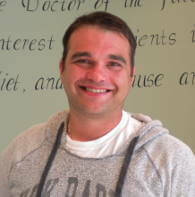 Dan suffered with headaches, dizziness, lack of clarity and muscle and joint aches for almost 10 years. 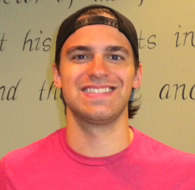 Dan plays hockey and has a history of concussions due to hockey injuries. He tried physical therapy, massage therapy and traditional chiropractic in an attempt to relieve his pain but nothing worked. “All those things did were treat the symptoms, not actually heal the problem,” says Dan. Dan says that he has been feeling great! “I noticed a drastic change from the very first adjustment. Now, I feel as though everything is perfectly in line. My headaches and lack of clarity is completely gone and I no longer have dizziness! I feel as though everything in general has improved overall. Now that I’m feeling so much better, my hockey game has even improved which is HUGE for me! I am able to skate so much better and faster. 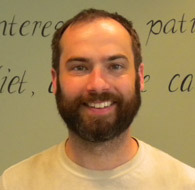 Everything feels so much easier because of NUCCA Chiropractic!” says Dan. Able to run without pain! 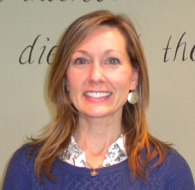 Shelly suffered with low back pain and hip pain for over a year. She enjoys competing in long distance running which was directly related to the pain she suffered with. “I was having a difficult time running without feeling pain. I was training for a half marathon and was worried that I wouldn’t be able to finish it due to the pain,” says Shelly. Shelly says that she felt better right away. “It only took a few adjustments! I don’t have pain anymore, even after running and I notice that I have a much better recovery!” I actually feel safer running because I’m not hurting myself anymore. I also feel stronger and more flexible. NUCCA has helped me live my life with no pain!” says Shelly. Relief from hip pain after 1 adjustment! 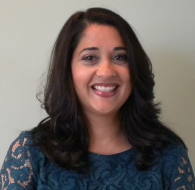 Ameena had been suffering with chronic lower hip pain for 3 years. She said that on a scale from 1-10 her pain had reached a 7. It was something that began to affect her everyday life. She occasionally took Tylenol in an attempt to lessen the pain, but she rarely found relief. After receiving her very first adjustment, Ameena says that she started feeling relief from the pain right away. “In the few months that I have been under care at Precise Chiropractic, my hip pain is already down to a level 1 on the pain scale, and some days I don’t have to deal with any pain at all.” she says. No longer taking 25 medications a day! Jill had been suffering for 3 years with an array of different symptoms. Some of those symptoms were headaches, high blood pressure, arthritis, abdominal pain, shoulder and arm pain, hip pain, trouble sleeping, knee pain, back pain, numbness, and diabetes. She was on medication for diabetes and high blood pressure, and on multiple pain medications. Jill has been able to get off most of her medications. She was taking 25 medications and 1 shot daily and is now taking only 3 medications and 1 shot! Jill says she can get out of bed now, move around, and walk again without as much pain, and she was even able to take a car trip this fall that wouldn’t have been possible before. She also says she now eats better, digests her food better, and is able to keep the food down. Lower Back Pain Gone, Amazing! 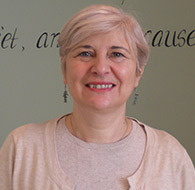 Brenda suffered with low back pain for more than 6 months. “The pain was so intense that I was unable to stand for longer than a couple of minutes at a time. When I would wash the dishes, I would have to lean against the counter and take multiple 10-15 minute breaks,” says Brenda. 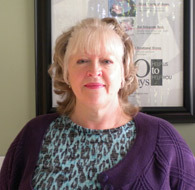 Brenda says that she felt a huge improvement after her first week of being under NUCCA Chiropractic care. “I noticed right away that I could stand for longer periods of time! Now, I am able to take longer walks. I feel much more energetic and I am happier overall. 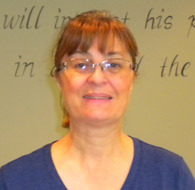 It is amazing being pain free!” says Brenda. 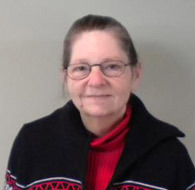 Gail suffered with pain and symptoms due to Cervical Spinal Stenosis. This caused her to suffer with excruciating pain that started in her neck and radiated down to her arm. She said that the pain had progressively gotten worse until she felt almost paralyzed. 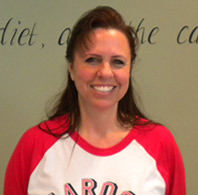 Gail says that after her 3rd week of being under care at Precise Chiropractic, she noticed huge improvements! “I am finally able to sleep through the night and function throughout the day! Now, I’m feeling absolutely wonderful. If I do feel pain, it’s very minimal and it’s only in my hand,” says Gail. Everyone was in very high spirits and the entire process was perfectly easy. Nice to see an office where people really enjoy what they do, means the world to me. Friendly, informative and an all around great first impression. I was very impressed with my first visit. The staff was very professional, helpful and friendly. Dr. Natalie was very thorough and explained everything . I feel comfortable with her and am ready to get started with the program. I had gone to my first appointment with mixed emotions! I was exited but also very scared! I remembered my previous chiropractic experience, which left me feeling horrible. When Dr. Cramer started to work on me I got calmer and more relaxed. All I kept thinking is this all there is? I have had 5 treatment now and my overall health is improving more and more. Thank you so much Dr. Cramer. I wish I had known about Precise Chiropractic years ago. My first appointment with a chiropractor went really well. I learned a lot and had fun speaking with the chiropractor about overall health and wellness and her personal philosophies. Your office and staff are professional and so pleasant to deal with, this includes Dr. Cramer also. Ericka was very nice and helpful going over all the forms. The explanation of how the spine controls the rest of the body was enlightening. I am looking forward to beginning treatments to correct the areas of my spine that will help me live a less painful life. Very positive atmosphere and so calming. Joan suffered with Trigeminal Neuralgia for 2 years and had tried other treatments such as oral gum surgery and taking medication. She did not find relief! Since coming to Precise Chiropractic Joan has less pain, shorter periods of pain and her area of pain is smaller as well. 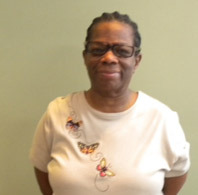 Joan says her life has improved GREATLY with NUCCA! Her day goes by without constant pain and she says she is able to do nearly everything she wants or needs to do. 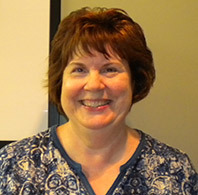 With regards to her visits at Precise Chiropractic, Joan states that the staff is very friendly and very professional!